I am soooooo (ooooo) picky when it comes to Lemmon’s bows. We turn down quite a lot of collaborations and a good lump sum of them are from bow companies. It has to be the right thickness, it has to be good quality since she has so much product in her hair. And now we have started using clips in her hair, I am picky about those as well. Here are our favorite shops right now and I’ll explain why! This was one of the first bow companies and that I fell in love with. She really understood the bows I liked on Lemmon and her patterns are so darling and not what you see in every shop. Plus she always is coming out with new items each season. 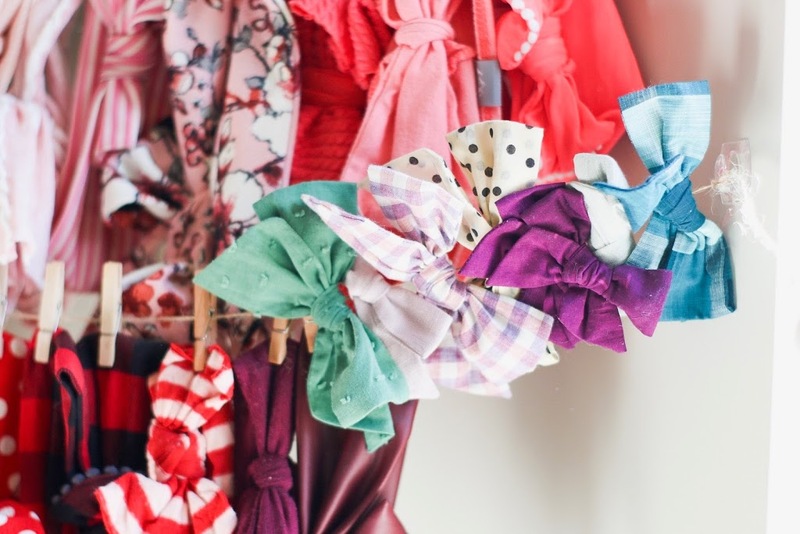 She has a wide variety of different types of bows and they are such good quality. I prefer mine stretchy for Lemmon and she has so many with cute patterns. Her bows are to die for!! They are super thick and stay on so well!! I am obsessed with how big they are also. She has every single solid color you can think of and some cute patterns as well. I have a few that are similar from other companies and Stevie Js are by far the best. I also love that if they come untied, they are simple to tie back together or you can just contact her and ask. I was sent a PR package from them and to be honest I was a little nervous. It was our first time using clips in Lemmon’s hair for pony tails and buns. Wunderkin Co outdid themselves!!! If you try them once, you’ll become obsessed! Their clip bows are such great quality and stay in place so well. We now have quite the collection from them and I want to get more (oops!) They are always coming out with the cutest designs! Now for how we display Lemmon’s Bows. I knew from the start that I didn’t want anything that you had to stack her bows on top of each other. Think about it, if a bow is on the bottom of the 20 other bows you have, will you ever grab it for her to wear? Most likely not. I want Lemmon to wear all her bows, instead of only 3 out of 35 of them. So, I took some burlap rope (it’s super strong and can hold a ton of bows) then went to Jo Ann’s and grabbed some mini clothes pins. Make sure you grab the mini ones bc if the clothes pin is to big it can pull down on your rope and make it sage. Plus you want more room to add more bows. I then took mini command strips and strung the burlap rope from one corner to the other. 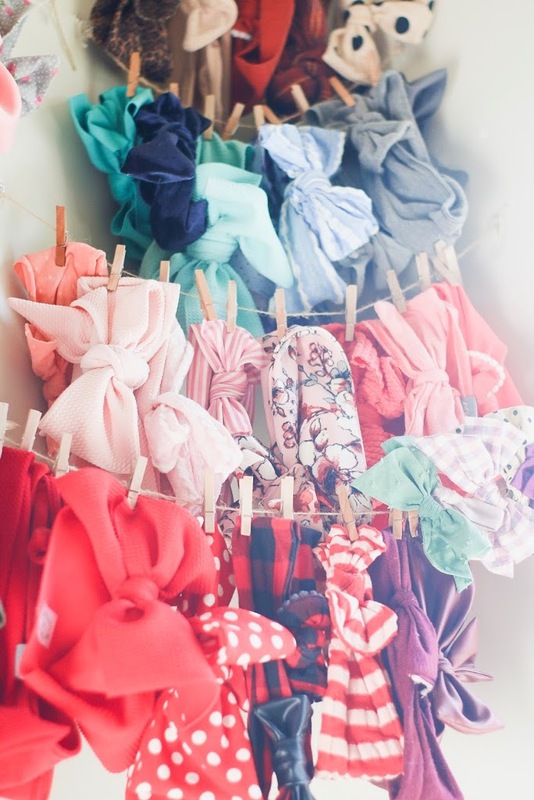 I like to organize them by color and then if it’s a headband or a clip. Our clip section is still a little small but we will add more rope as it gets bigger. And there you go! 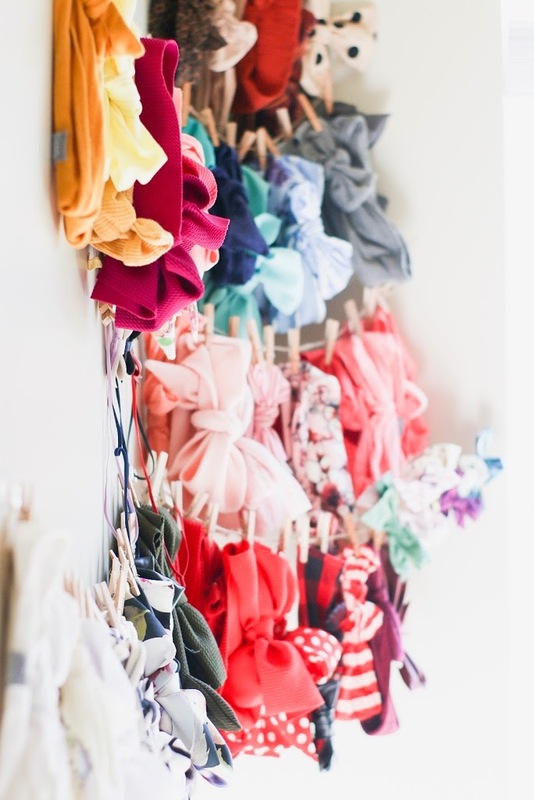 An easy and very visible way to display all your little girl’s bows! 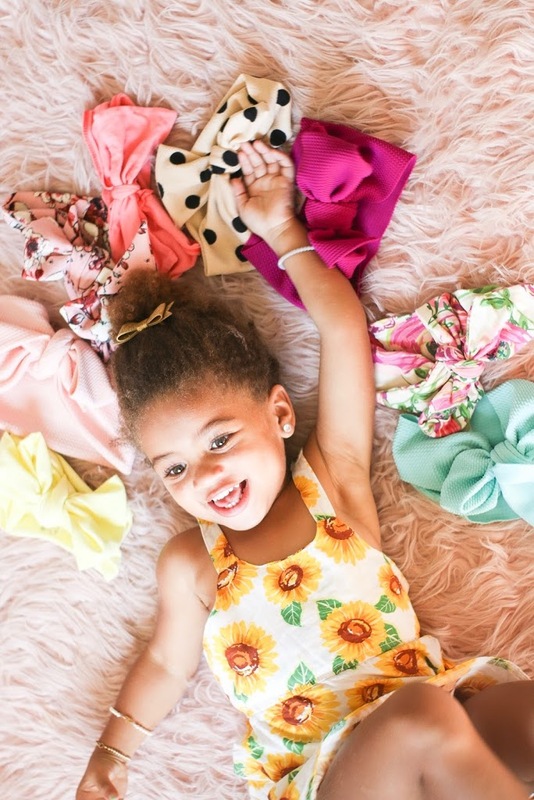 Bows are one of my favorite accessories to collect for Lemmonade. So drop your favorite bow companies in the comments! !